Where is the next challenge after I start getting bored with just flying for fun? How can I make my rockets perform better? If you are asking yourself questions like these, then you should think about getting involved in NAR rocketry competition. Since 1959, sanctioned NAR model rocket competition has evolved into a proven method for challenging the individual to improve craftsmanship and flying skills, and to pursue a “personal best” in performance with each flight. It is an activity that emphasizes craftsmanship, flying skill, and sportsmanship. Any NAR member can participate in NAR sanctioned competition, and any NAR section can host one. 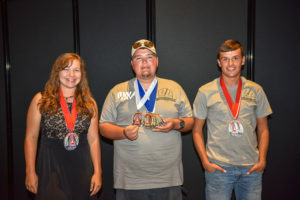 The NAR is the only rocket organization in the US that has a structured program of rocketry competition, that recognizes National Champions each year, and that sponsors a US Team in World Championships competition. The U.S. Model Rocket Sporting Code is the official rulebook for conducting and participating in NAR sanctioned competition. NAR members can design and build model rockets for 25 different competition events, most of which are flown in multiple power classes. Official US Records can be set in many of these events. In 2009 the NAR expanded its competition program by introducing a new dimension of competition for for high-power rockets. This program is described in the High Power Rocket Sporting Code. In 2017 the NAR totally revised the model rocket competition program to a new approach called National Rocketry Competition. NAR Sections across the country host dozens of NAR Meets (a.k.a. contests, competition launches) that provide the focal point for NAR competition rocketry. Meets range in size from a few fliers from a local club to large, regional-scale meets drawing fliers from several states. 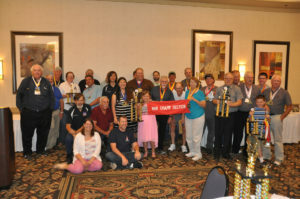 The NAR holds a National Association of Rocketry Annual Meet (NARAM) to bring together all NAR members and sections for a week-long competition event to decide that year’s national model rocket competition champions. In addition, the NAR sponsors the US Team that flies in international (FAI) competition. The rules and designs for this type of competition are quite different from the NAR rules for US competition, so there is a separate section on the NAR website covering them, called “FAI Spacemodeling”. Launch Windows Online lists most of the competition events currently scheduled. Not all meets are always listed, so it is best to contact an NAR Section near you to find out if there is contest activity in your area. If there is not, try your hand at organizing your own contest — go to that page to read more. Want to try your first competition but aren’t sure how to begin? Go the pages on getting started in competition, on flying your first meet, and on the basics of the rules. Then go to the page on this site that tells you all about how to do each of the most popular specific events flown in NAR competition.